Arriving into Wanaka on New Zealand’s South Island is truly something special. Clare and I had just jumped off the plane into Queenstown only hours prior, and were greeted by the mountainous terrain of the Remarkables. ‘A breath of fresh air’ seems to take on a whole new meaning the second you disembark in Queenstown. The air is crisp, fresh and invigorating from the second you inhale it. I was extremely excited to visit this part of the country as it would be my first, and also a chance to see the autumn colours of the South Island, along with the seasons first delivery of snow. Spending a transitory few hours finding our feet in Queenstown and becoming familiar with the surroundings, it wasn’t long before we were quickly on our way to visit the nearby town of Wanaka – a lakeside village surrounded by charming parks, snow capped mountains, walking trails and ski lodge inspired homes. A brief stay at The Edgewater – Lake Wanaka was exactly what the doctor ordered on our eleven-day stretch of travels throughout New Zealand’s picturesque South Island. Arriving into The Edgewater, you can’t help but notice the sweeping hills, manicured to complete perfection, all lined with yellow-fringed poplar trees. The poplar and willow trees lining the lake are like something from a movie. 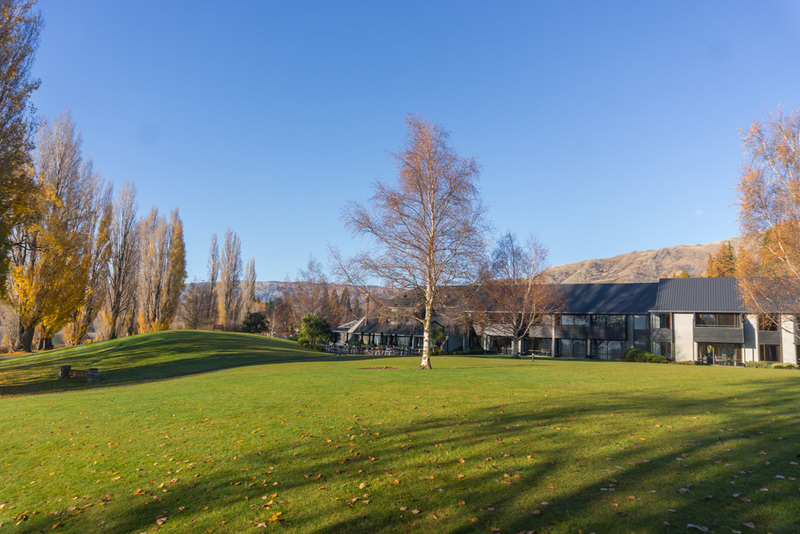 It’s honestly the perfect setting to one of New Zealand’s most visited towns and certainly the ideal location to base your self if you’re travelling to the Central Otago region. We were greeted by the friendly Edgewater staff upon arrival who were more than happy to provide us with information on the area and were keen to offer any further assistance should we have needed it. Located at the southern end of Lake Wanaka, The Edgewater offers visitors the chance to stay in one of the most breathtaking locations in the world. 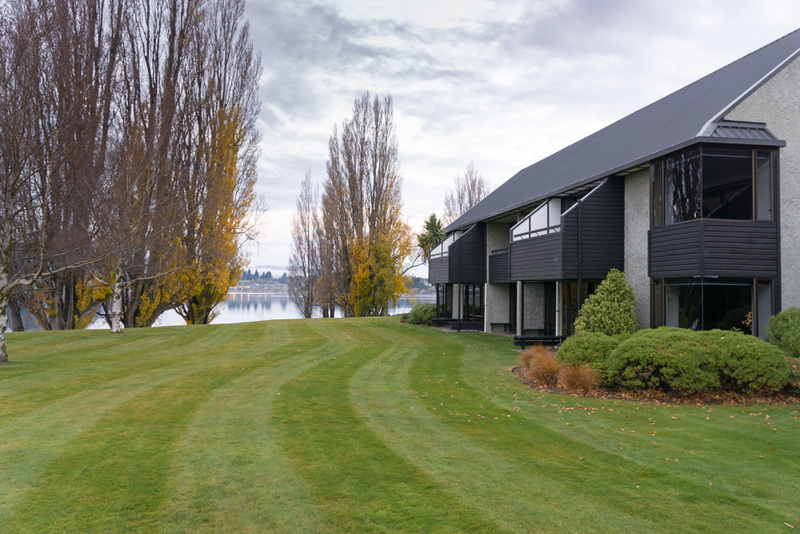 Nestled amongst the pebble stone foreshore of Lake Wanaka, The Edgewater boasts a wide variety of rooms, all offering their own private views of the lake and surrounding vistas. Each room is equipped with premier facilities and amenities, all within a short walk to the main township. The Edgewater offers a range of accommodations to suit a variety of travellers in the region – everything from hotel/studio rooms and one-bedroom suites, to two bedroom apartments – all readily available in different configurations to suit you and your travel entourage. Each room has an outdoor patio or balcony that faces directly onto the lake, so you’ll never miss a view. All room plans and layouts are available on their website should you wish to peruse the best option prior to arriving. 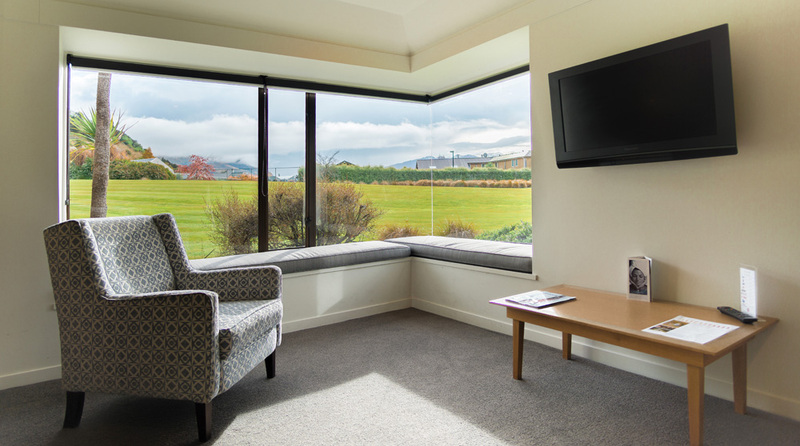 All rooms are spacious and generous in the layout, coming standard with Wi-Fi, tea and coffee facilities, a paved outdoor area, heating and free guest parking – all of course, complimentary with that stunning view of Lake Wanaka and the Southern Alps. 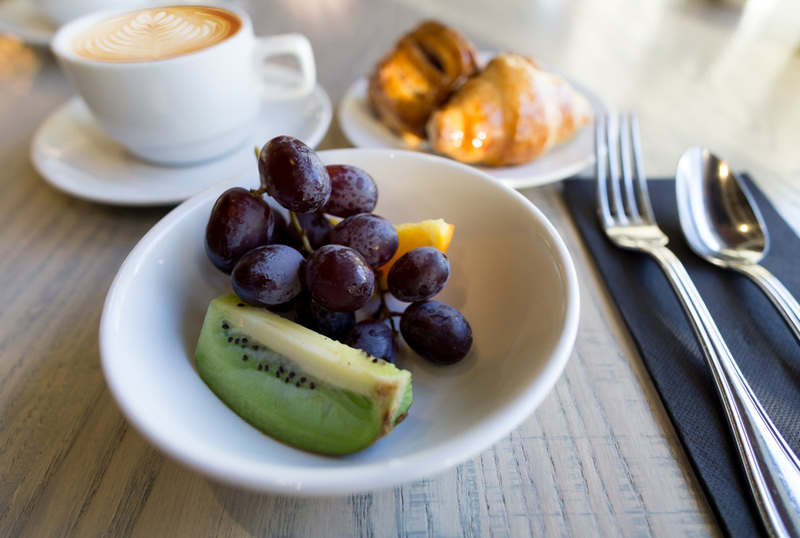 If you’ve had a busy day exploring all that Wanaka has to offer, there are plenty of fantastic dining preferences available to you at both The Edgewater and in town. 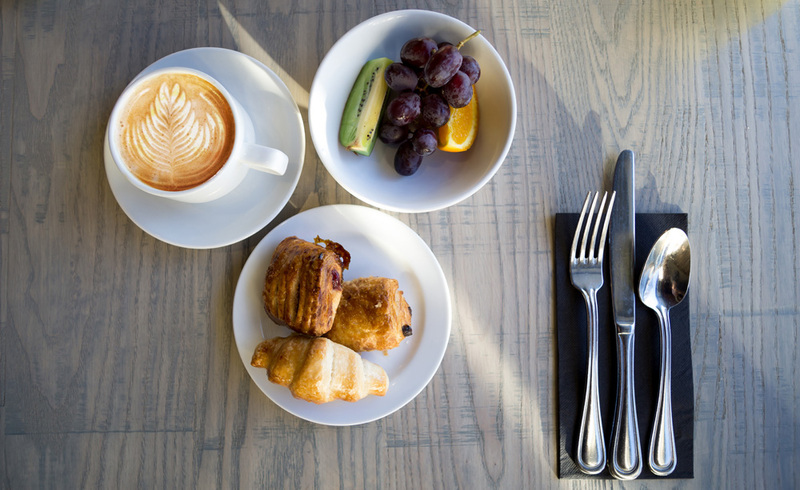 The Edgewater is equipped with an all day dining option for its guests. The Wineglass Cafe offers visitors a well-established meal menu, and of course, a comprehensive New Zealand wines list to accompany it. In size, The Wineglass Cafe caters well to a large number of its visitors without feeling too crowded. The view from breakfast on our second day was simply stunning. Just when you thought it couldn’t get any better, The Edgewater keeps on giving with a wide range of fantastic facilities and activities for travellers. Everything from a helicopter landing pad, mountain bike hire, tennis courts and a day spa are all readily available. Elements Day Spa boasts an assortment of nourishing treatments just to help you relax a little further during your stay. 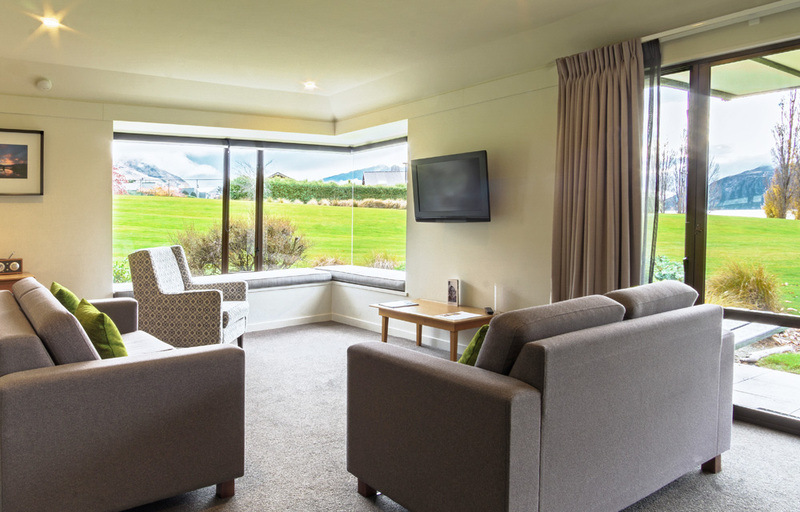 Relaxation and deep tissue massage are just some of the extras you can take advantage of during your time with The Edgewater – Lake Wanaka. 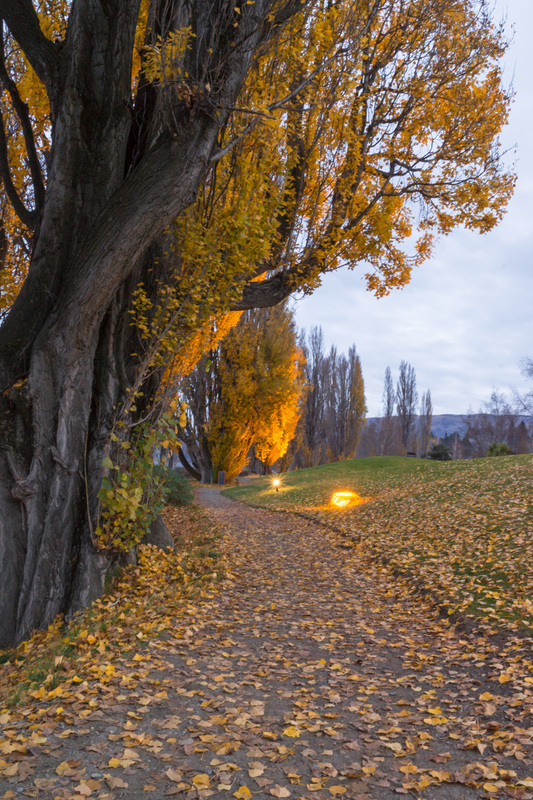 A short stroll down the walkway from your room, you’ll encounter the famous Wanaka tree – one of the last standing willow trees that remains at the edge of the lake. This was one of our first stopping points on our sunrise and sunset photography adventures, and it did not disappoint. It’s a really simple walk or drive toward the township from The Edgewater to reach the Wanaka tree. We were lucky enough to experience perfect weather for the duration of our stay, so exploring further afield and getting the chance to photograph the area was phenomenal. 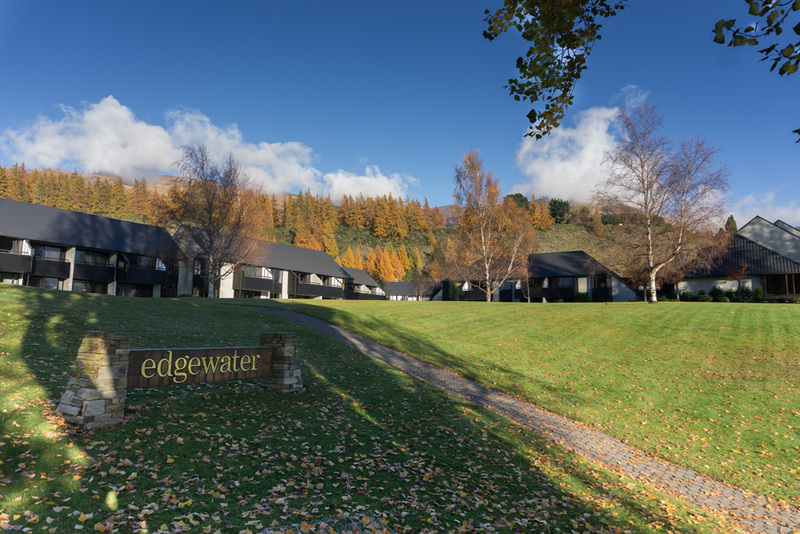 If you’re searching for a stress free getaway that has everything you could imagine right at your fingertips, the team at The Edgewater – Lake Wanaka have got you covered. I’d recommend visiting during the months of Autumn to capture the colours of the Autumn leaves, however, with so much on offer (both adventure and relaxation) this has to be one of your top picks as far as accommodation is concerned, no matter the season. With such a large variety of hikes and trails to experience, it’s any wonder this is one of the most visited towns in New Zealand. 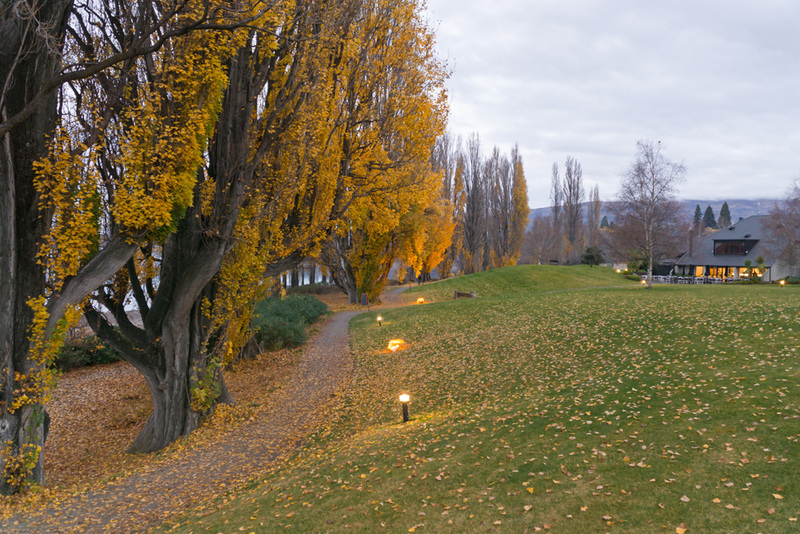 A trip to the South Island just wouldn’t be complete without a stay in Wanaka. 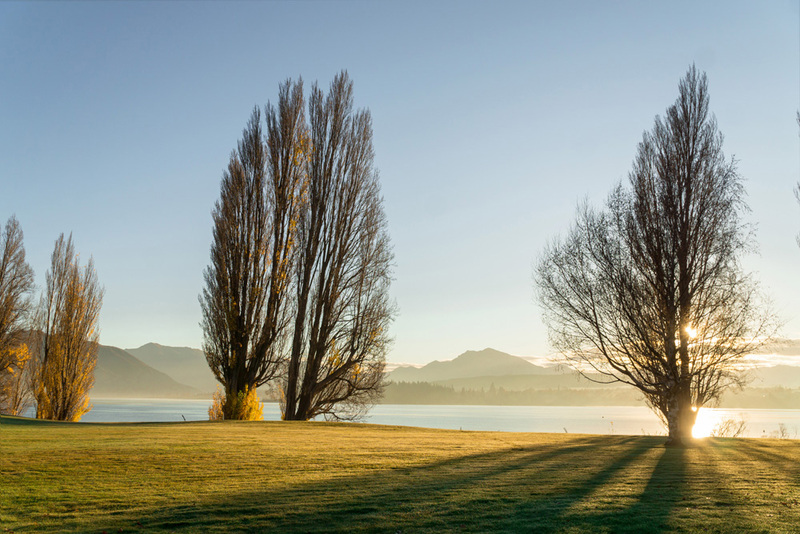 Touch the seasons with a once in a lifetime visit to The Edgewater – Lake Wanaka. 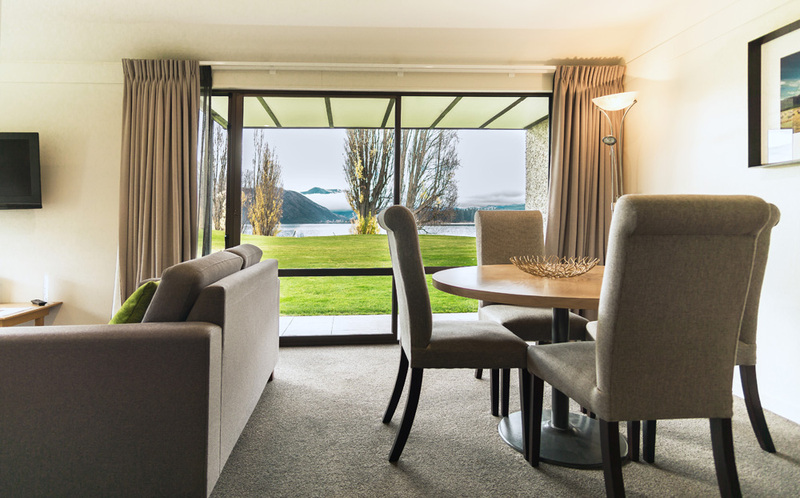 Book your stay here with The Edgewater – Lake Wanaka. 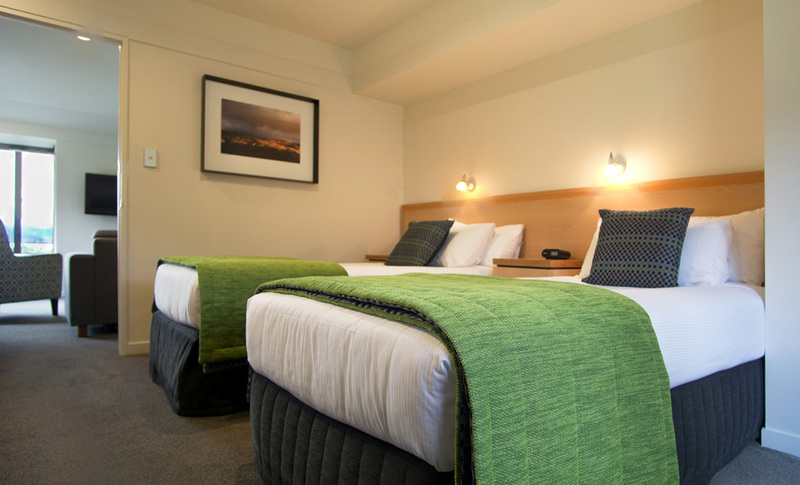 For more New Zealand accommodation, visit here.